We get these weather maps when cyclones are about to hit….and indeed, we HAVE been hit by Cyclone Kavya, and our lives will never be the same again! Through the day, I am generally alone with The Biddles, as we call GD. Conversation is, of course, of a high intellectual standard. She and I discuss disestablishmentarianism, and go from aardvarks to zygotes…she was one of the latter recently, so she has a lot to say about it. One job in the kitchen that I really hate…. 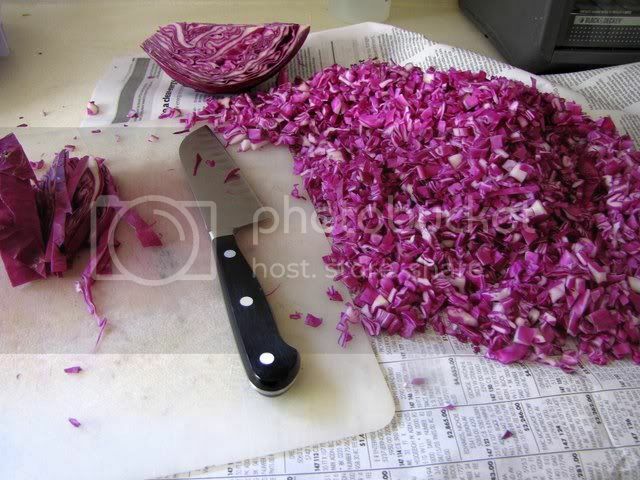 chopping cabbage…I tend to slaughter it…. Even MORE so if that cabbage is red and gives me pink fingers…the process becomes even closer to a killing! Then why do I do it? I think, "If I hate it so much, how much will another person also dislike it, especially after coming home tired from work, with a baby to feed several times at night!" and I find I can do it after all…. I want to know how each of YOU tackles this chopping-cabbage task…. 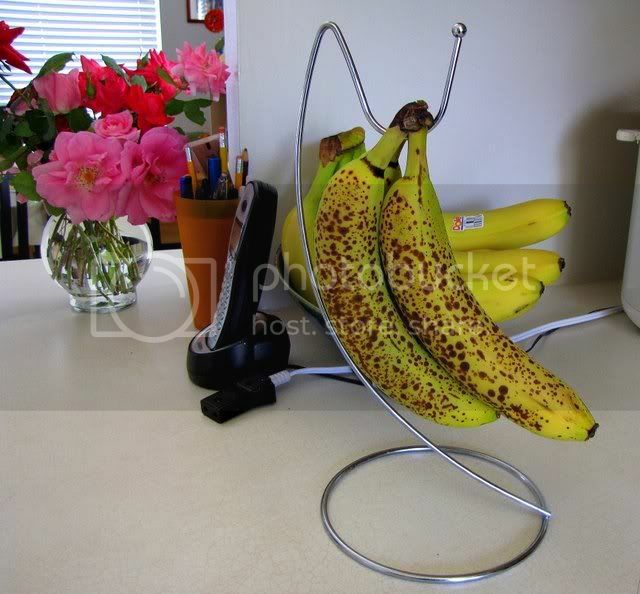 Oh, and we also often have leopard bananas in the kitchen…want to see them? …you can also see some ordinary bananas waiting to be hanged, until they are either eaten…or spotted! And the flowers? I love flowers, I get them whenever I can. The home always has at least 3 vases of flowers! OK, I stopped the chopping because of an intense desire to share all this with you lot…must finish murdering that cabbage and wash my hands before GD wakes up!